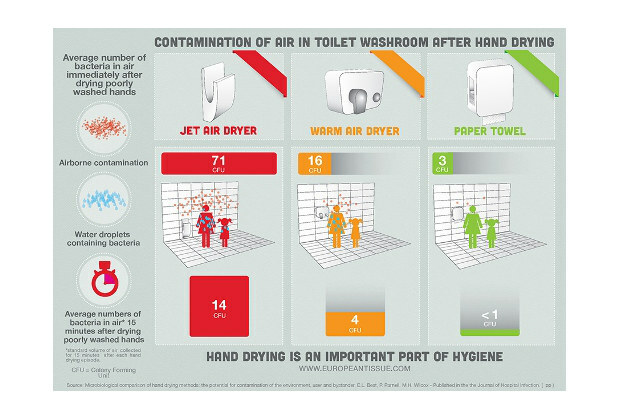 University of Leeds performed a study comparing jet-air dryer, traditional hot-air dryer and paper towels highlighting coming to an unexpected outcome: air dryers contaminate the air around them and may lead to decrease of hygiene. Participants then dried their hands in a controlled environment and scientists tested bacteria in the air near the various hand-drying options. What they found: the air around jet-air dryers held 27 times more bacteria than was found around paper towels, and 4.5 times more than around warm-air dryers. Further, “a similar pattern was seen for bacterial counts 1 meter away,” they write. And that bacteria lingers: Half was collected in the air around dryers five minutes after use, with bacteria still hanging around after 15 minutes. “Next time you dry your hands in a public toilet using an electric hand dryer … you may be splattered with bugs from other people’s hands,” a researcher says in a statement. 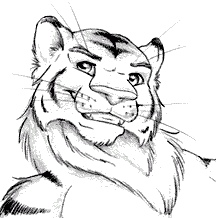 Posted on 2014-11-24 by Tigr. This entry was posted in Various and tagged air, air dryer, contamination, en, hygiene, microbe, public, toilet, wash. Bookmark the permalink. ← Japan re-elections: fight back! Vote for DPJ!